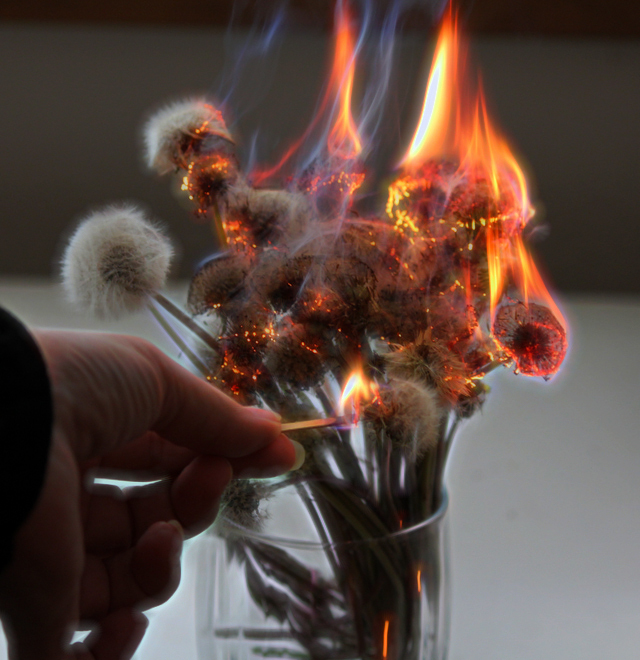 I continued my experimentation into the colors of flames produced by dandelions with a bouquet of ‘wishes’ or seed heads. In Nebraska, dandelions are used for dandelion wine, but mainly are a weed. No one objected to getting the flowers cleared out their yard. Actually, I suspect they were glad the seed heads were going to be burned. The bouquet is pretty, burns instantly, and leaves little residue.